In Japan, technology from Toyota, showed them the collected work of the Human Support Robot and at the same time and tested it. The purpose of the project is to help people with special needs who are confined to wheelchairs and beds. 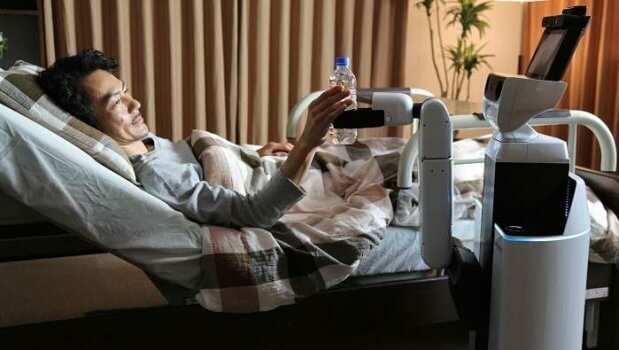 A few years ago, the company decided to create a robot that could help people with disabilities. They created a robot Human Support Robot has a manipulator, which he is able to take and move objects of different shapes. In addition, the developers have built a camera, which allows the gadget to navigate the room. The company reported that the robot is able to give the owner a bottle of water and open the door. Unfortunately, the management of Toyota has no plans yet to launch mass production of a robot assistant.